Isochrysis is a very extensively used microalgae in aquaculture. Isochrysis is rich in carotenoids such as β-carotene and fucoxanthin and is the preferred source of the valuable ω-3 fatty acid DHA. IsoPrime consists of Isochrysis aff. galbana "Tahitian strain" (T-ISO)(Tisochrysis lutea) that is produced under the most stringently controlled conditions (HACCP and FCA certified by SGS (FCA certificate BE 01/1522.GF)). Isochrysis T-ISO produced at Proviron accumulates high levels of the ω-3 poly-unsaturated fatty acid docosahexaenoic acid (DHA) present in a readily bioavailable form. 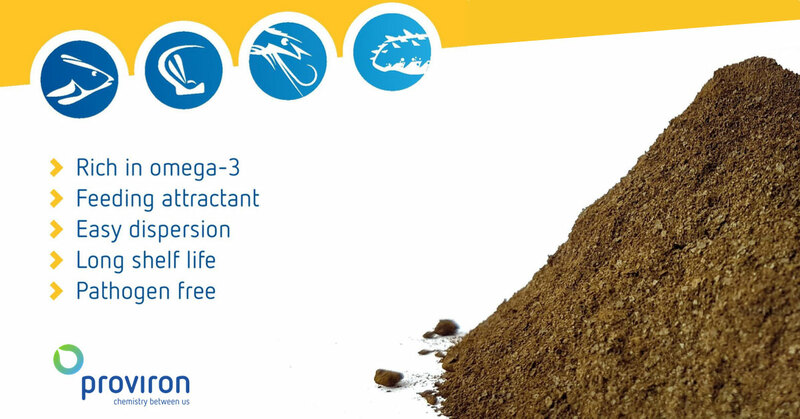 It is freeze dried according to a proprietary process to yield a premium grade product with the longest shelf life, no nutrient leakage, maintenance of the correct lipid profiles and an ensured bioavailability of ω-3 poly-unsaturated fatty acids. Rotifer enrichment: High levels of DHA and pigments such as β-carotene, violaxanthin and zeaxanthin. Gut development: Gives the larvae a head start by activating the digestive system. Single Cell dispersion: Excellent for Green Water Technique thanks to the small single cell dispersion. IsoPrime remains in the water column for very long periods without fouling your tanks. Pathogen free: No sourcing from natural salt water. No fish, shrimp, shellfish or other aquatic organisms (pathogen vectors) grown in the vicinity of our production. Constant biological monitoring. 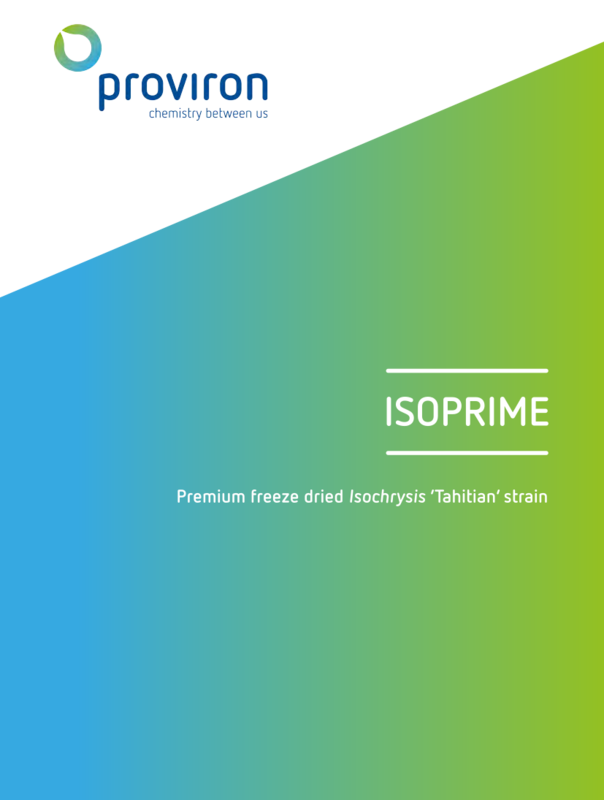 Long shelf life: IsoPrime can be stored for 24 months in normal conditions. It does not need to be frozen or cooled. Addition to a NannoPrime diet at ratios up to 20% from day 3 onwards yields vigorous rotifer growth with enhanced fatty acid profiles. Note: The use of IsoPrime is not advised as a sole diet for the cultivation of rotifers. IsoPrime is the perfect product for green water treatment. Direct addition to the fish and shrimp larval tanks improves larval performance, reduces stress, controls the bacterial environment and maintains the nutritional value of live prey. IsoPrime is also the ideal DHA enrichment product for rotifers, providing all the necessary nutrients needed to obtain the optimal composition to feed your fish larvae. IsoPrime is the easy-to-use back-up alternative for your live algae, available off the shelf at any time.